11 years ago in San Diego, California two experienced and motivated entrepreneurs, Steve Grangetto and Chris Taylor co-founded 5th Axis, Inc. As the company's name implies, they recognized that 5-axis machining would give their new company a competitive advantage and entry into demanding niche markets like Aerospace, Medical, and other challenging high-tech industries. Now, not only do they offer complex precision machining to meet a broad range of custom requirements but have evolved to manufacture their own line of 5-axis work holding products. The line encompasses a wide range of vises, fixtures and adapters that complement a broad spectrum of CNC machines. 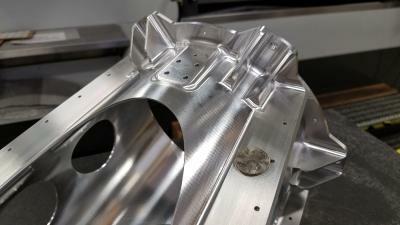 "There weren't many good 5-axis work holding fixtures available when we started." Chris Taylor said, "Out of necessity our team started designing and building their own fixtures. Those fixtures and work holding products matured, and we began selling them around five years ago, and now this product line is a substantial part of our business." 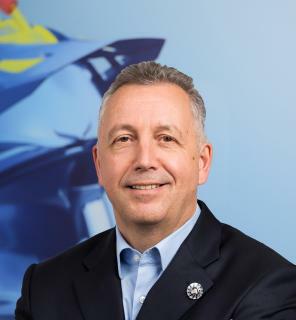 Chris Taylor boils down their company's philosophy into one sentence: "From day one, 5th Axis' strategy has been to take advantage of the most technologically advanced software, equipment and technologies available." Today, a walk through their bustling shop floor is lined with the best of the best 3- and 5-axis high-speed machining centers from Germany, Switzerland and Japan. All of the machines are programmed with hyperMILL®, the CAM solution from OPEN MIND and clearly demonstrates their commitment to the company’s philosophy. But it wasn't always this way. Business grew dramatically over their first three years. Their first machine was a HAAS, but in order to meet the growing demand for complex 5-axis machining, 5th Axis began purchasing new high-speed 5-axis equipment including superfast 42,000 rpm Mikron HSM 400U's, followed by Hermle C 30 U's, and Grob G350 mills, and a couple Okuma MB-5000H horizontal machining centers. Once they began to dig into programming the machines, they were dismayed to find that their existing CAM software had huge shortcomings. 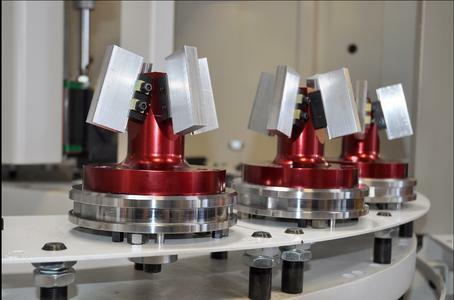 They were faced with unexpected machining collisions and couldn't fully utilize the speed, capabilities and potential of their new high-end machines. Chris and Steve assembled some of their best talent to look for new CAM software for their high-end equipment, and at trade shows one of the questions they asked machine manufacturers presenting 5-axis machining demos was, ‘What software did you program that demo with?' "And, without exception every single 5-axis demo, hands down, was programmed in hyperMILL®." Encouraged by this feedback, they decided to experience hyperMILL® first hand. 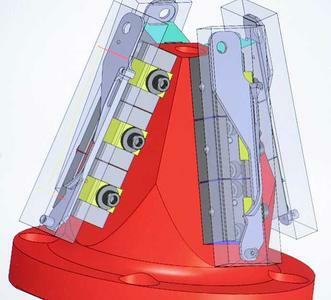 Chris recounts that, "We demoed hyperMILL® on a complicated 5-axis part that was giving us fits, and were very impressed by the efficient tool paths, reliable collision avoidance, and how seamlessly the software integrated into SolidWorks. The demo clinched the deal and we've been successful using hyperMILL® ever since." Steve Grangetto adds: “Our company goal was to find a CAM software solution that allowed us to take advantage of the high-speed machining that today’s machine tools have to offer. The results have been faster run times, better surface finishes and overall better part quality. 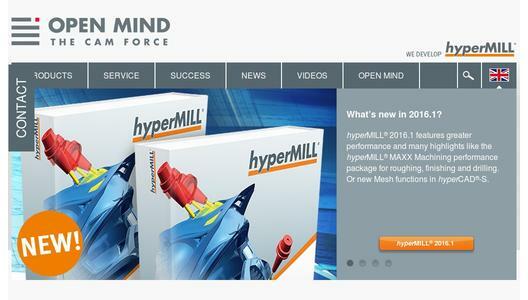 Over the years we found that hyperMILL® has fit our company’s strategy perfectly. 5th Axis, Inc. takes advantage of its high speed 5-axis machining centers programmed with hyperMILL® to manufacture a wide range of precision parts including turbine impellers, that cannot be made efficiently any other way and, this machine-software pairing delivers part-precision and time-savings benefits. Jesse Norton, Director of Manufacturing and Senior Programmer has been programming with hyperMILL® for seven years and in addition to echoing Chris Taylor's praise for the hyperMILL® for Solidworks integration he pointed out that with hyperMILL®, he is able to simulate not only the part in his fixture, but the tool, the tool holder, the spindle and the entire machine envelope itself. "I can step through the tool path and watch it remove material and verify that it clears the machine and that there aren't going to be any collisions. This is an invaluable time saver since I don't have to walk out to the shop floor and manually look inside a machine with coolant flowing to check clearances." 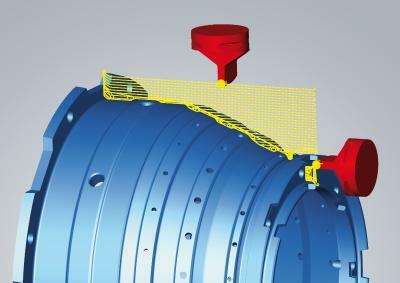 "hyperMILL® MAXX Machining creates extremely efficient roughing tool paths due to careful control of material removal and use of smooth trochoidal tool path motion where possible The hyperMILL® MAXX Machining roughing module extends tool life by maintaining a constant chip load, never overloading the cutter or wearing out tools prematurely. 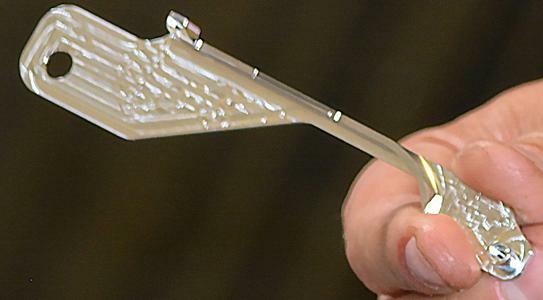 It allows feedrates to be set for the best cutting conditions, rather than the typical process of setting feedrates for the most challenging cut, such as a corner condition. And, we can use hyperMILL® MAXX Machining on materials from aluminum right up to hard materials like Inconel because our high-speed machines are fast enough to keep up with the rapid tool path motion that is generated. 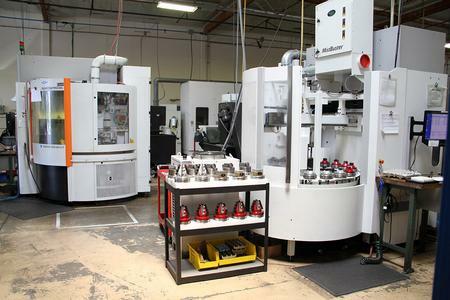 Bottom-line, using hyperMILL® MAXX Machining results in super-efficient and fast tool paths." Chris Taylor said that, "hyperMILL® support is one of the things that really separates OPEN MIND from other CAM software vendors on the market." Furthermore he adds: "OPEN MIND takes complete ownership of post processor development, and that's a really big deal, especially with 5-axis machining where an accurate post becomes extremely critical in avoiding crashes. 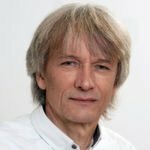 The machine does exactly what we simulate on the computer screen.” OPEN MIND postprocessors are developed as a core technology of the company, using internal experts. Postprocessors are customized and have configurable parameters to give the customer needed control for their particular environment. "The combination of high quality tool paths and the advanced capabilities of the CAM software along with the post processor support, plus having a team of extremely skilled technical support people on hand when we program very complex parts give us the confidence to take on ever more challenging jobs. With OPEN MIND's help we never burn money getting stuck on a job and their contribution has been a really big part of the growth of our business. For Chris Taylor and Steve Grangetto, it is clear that hyperMILL® is the right choice for their business. "hyperMILL®, and our excellent working relationship with the OPEN MIND team has allowed us to make aggressive decisions that have helped us grow to where we are today!"